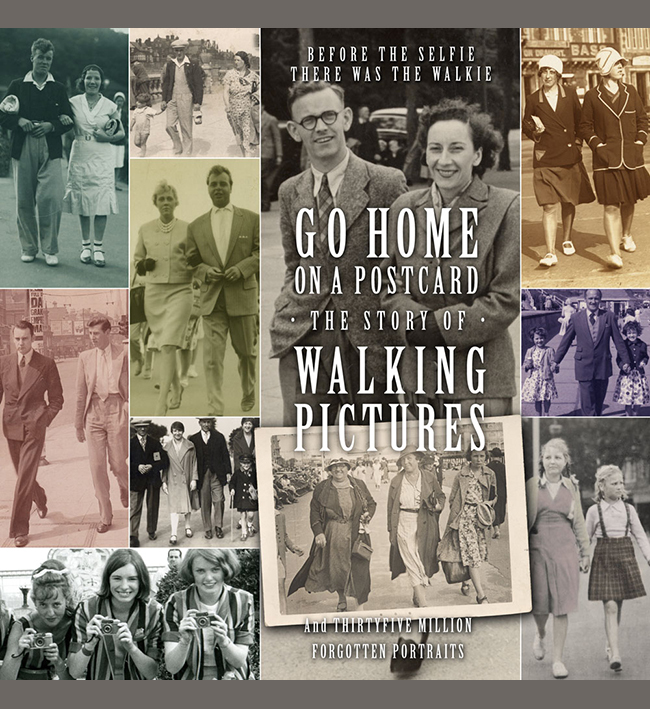 Meech’s “Souvenir Snaps” were based in Weymouth, and have come to light only from this single walking picture. It looked very Fifties, and on the back a small date stamp confirms June 10th 1959. How long the photographer operated we don’t know, but it was taken on the wide sea-front promenade which runs round the bay. The ornate Victorian shelter behind the couple is still there and much photographed in it’s own right. The couple themselves are quite conservatively dressed for the time; shirt and tie even for the stroll on the promenade, though at least the jacket has been taken off! The small walkie print is OK as a souvenir but quite soft; so it works at the small print size of around 2″ by 3″ but would not allow enlargement much beyond that. It must have been machine printed as well, suggesting some investment in the business, but is quite dense. Ironically I have been able to improve the quality for showing here. But clearly the couple liked it enough to buy it as a unique souvenir. And as it added a new name to the walkie firms list I bought it as well. There is another example from the firm on the site but there is nothing about them on the web, suggesting they did not operate for very long. But other firms did work in Weymouth before WW2 including Empire Films, while Guy’s Snaps operated there after the war.